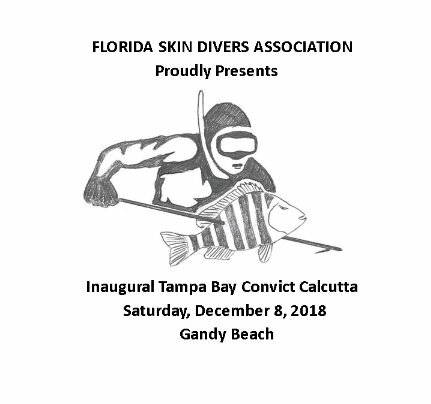 The Florida Skin Divers Association (FSDA) invites all Spearfisherman, Woman, and Juniors to participate in the competition and camaraderie of the first ever Tampa Bay Convict Calcutta. This is a sheepshead tournament, affectionally named convicts due to their black and white stripes. As such, sheepshead are the only eligible fish in the tournament. This one-day tournament will be held in Tampa Bay on Saturday, December 8th, 2018. Recognition will be given on individual levels based upon an aggregate point scoring system. Additional recognition will be given to the individual turning in the single largest fish of the tournament. A link to the Tournament Rules can be found below! !